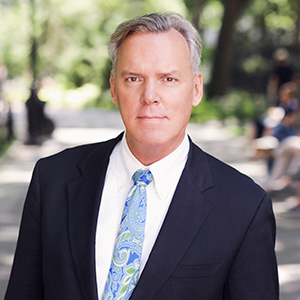 Bob Dowling delivers a powerful set of skills and experience to clients in search of residential real estate advisory and brokerage in New York City. Bob works successfully with Buyers, Sellers, Investors and Developers. And, his unparalleled commitment to superb customer service combines to make the process a pleasure for all of his clients. During a 25 year career as an investment banker, Bob ran the housing sector for the nation's leading advisor to the industry. He was responsible for nearly $50 Billion in mergers & acquisitions, debt & equity capital-raising and mortgage finance for homebuilders and multi-family property companies across the United States and throughout Europe. Bob's clients included "C-level" executives from industry companies, hedge & pension funds and other investors. Builder Magazine named Bob one of the nation's 50 most influential people in the housing industry for several years running. Bob is also an accomplished real estate investor in new condominium development and residential rental properties in multiple markets throughout the U.S. He has renovated and sold homes in the Hamptons on Long Island and in Palm Beach, Florida. These experiences provide Bob great insight into his clients' objectives. Bob is a long-time Manhattan resident with extensive knowledge of the local real estate market. He is a member of the Real Estate Board of New York, several industry professional organizations and is actively involved in numerous philanthropies. Today, Bob delivers the industry-leading Compass real estate platform, pairing exceptional talent with technology to make the search and sell experience intelligent and seamless for you.